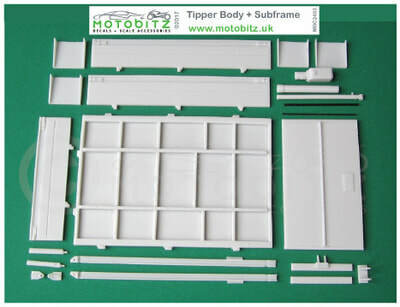 MBC2401 1:24 Ford Transit Mk2 LWB Chassis Conversion + Tipper Body. A complete trans-kit for the Italeri kit. Fully detailed chassis and components with correct style wheels. Tipper body with subframe and hydraulic ram. 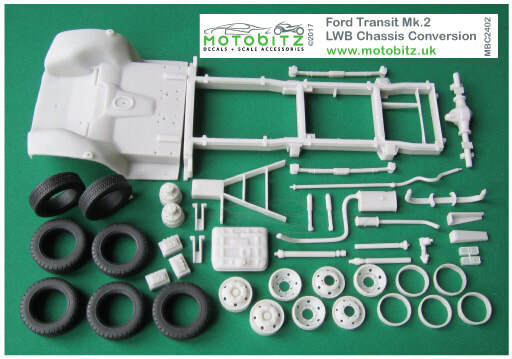 MBC2402 1:24 Ford Transit MK2 LWB Chassis Conversion. Fully detailed chassis and components complete with correct style wheels. Converts Italeri kit to Chassis Cab version. MBC2403 1:24 Tipper Body, parts include bed, dropsides, hinged subframe, hydraulic ram with pump and mudguards. MBC2404 1:24 Ford Transit Mk2 LWB Van. Parts include roof, extended side panels & floor/chassis with ancillary components and full wheel & tyre set. Requires Italeri donor kit. Prices in RED = out of stock - restocking 2-3 weeks. Prices in BLUE = low stock. Prices in GREEN made to order 2-3 week turnaround. 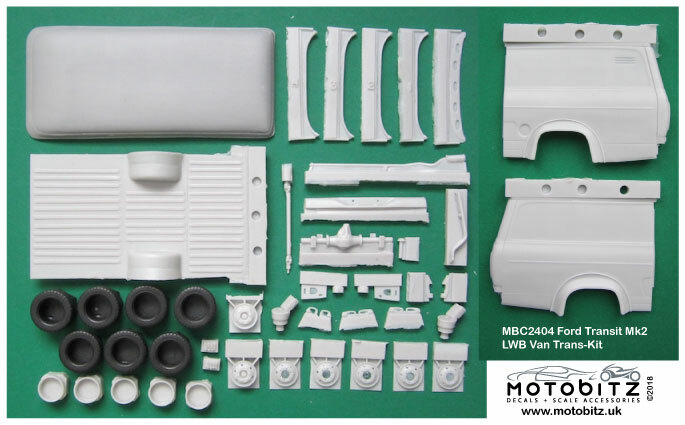 NOTE You will need the Italeri Transit Van Kit [Ref 3687 or 3657] to complete MBC2401-4 conversions.